Come end your day with some gentle yoga relaxation from 5:15-6:15pm at Moriches Community Center! Beginners welcome! 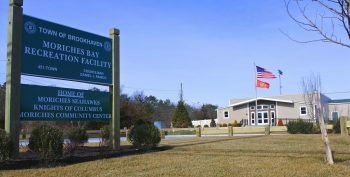 Moriches Community Center is located at 313 Frowein Road, Center Moriches, NY. 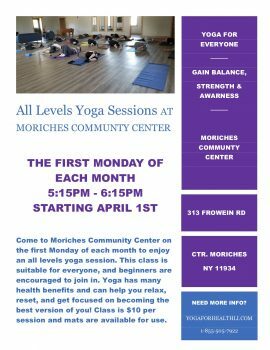 Now that The Moriches Community Center has a physical home, we are offering many new programs and classes. 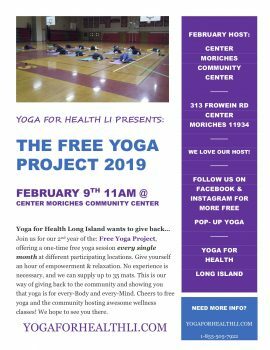 And, thanks to groups like Yoga for Health, several health and wellness classes have been added at Moriches Community Center. 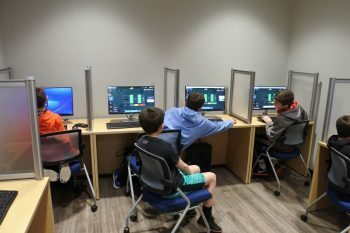 Each class supports a friendly environment and all are welcome to join. 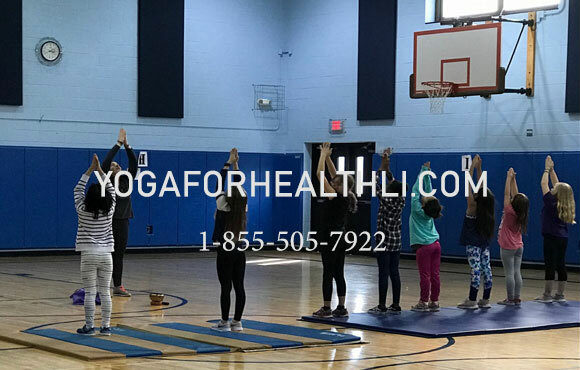 Gain balance, strength, and awareness through programs like kids yoga, all levels yoga, and body and mind recovery sessions. Start your weekend relaxation with free yoga at MCC! The Free Yoga project will offer a free gentle yoga class today, Sat. Feb. 9 at 11am at Moriches Community Center, 313 Frowein Road, Center Moriches. 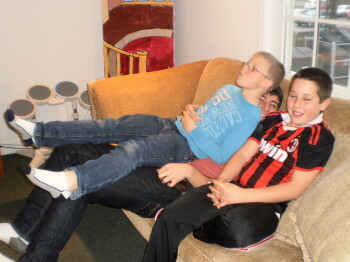 For ages 13+, and mats will be provided if needed. See you there! 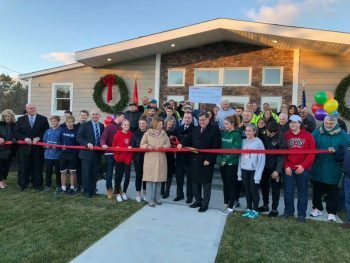 After weeks of preparation, the brand new Moriches Bay Recreation Center is finally ready. 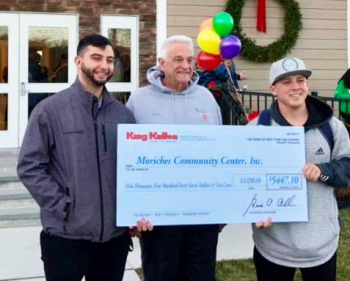 On February 2nd from 10 am to 12 pm we’ll be hosting a grand opening event at the recreation center, located at 313 Frowein Road, Center Moriches. At the opening, we’ll have giveaways, activities, refreshments, and info about future programs. 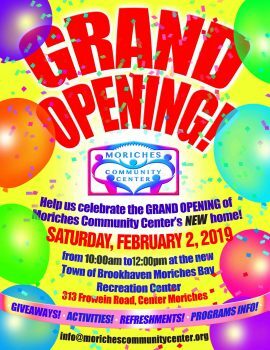 So stop by and help us celebrate the opening of the Moriches Community Center’s new home!